We've brought you a nice selection of gifts at affordable prices - but what if money was no object? What would a petrolhead like to find in his (probably massive, oversized) stocking more than anything this year? Click through our gallery below to find out. So your petrolhead family member already has a 1960s Mustang and a pair of Ferraris – what next? Well how about moving to two wheels and picking something exclusive? 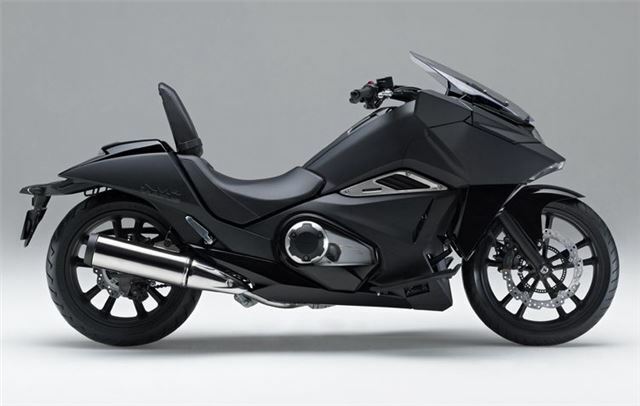 This isn’t the Bat Bike, it’s the Honda Vultus - just a few dozen of which are available in the UK. It’s not cheap at £9666, but it is most certainly dramatic. Thing is, with 54PS and an automatic gearbox it’s actually a fairly easy-to-ride and docile machine – so you can travel the streets looking like a Batman without putting the fear of God into yourself. The ease of use, allied to the fact that nothing else on sale matches the Vultus for street presence, makes it a great choice of dream gift.